Earth Hour 2010 is here again and you can support the cause by switching off your lights on March 27 at 8:30 pm local time. People across the world will turn off their lights and join a common movement to protect our climate and combat global warming. Earth Hour is organized by WWF, one of the world’s largest and most respected independent conservation organizations on a mission to stop the degradation of the Earth’s natural environment and build a future where people live in harmony with nature. 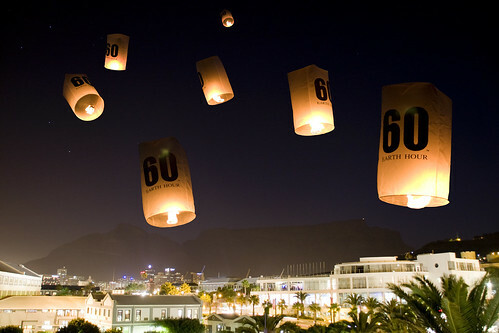 This follows the success of Earth Hour 2008 and Earth Hour 2009. Last year, 80 million Americans and 318 U.S. cities officially voted for action with their light switch, joining iconic landmarks from around the world that went dark for Earth Hour. Watch out as many top websites turn black for that hour! The Universe is watching … this is amazing. This year they are tapping the power of social media and you can follow #earthhour on Twitter, upload your images to flickr and your videos to Youtube.